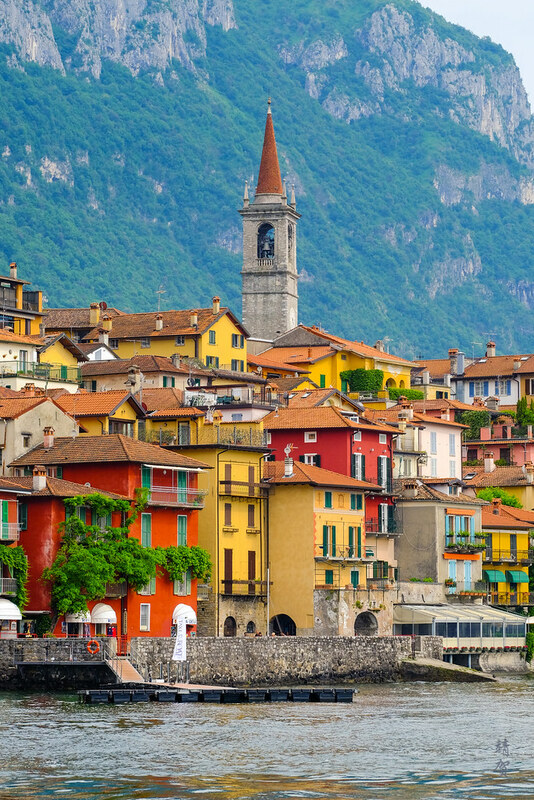 Located in the north of Milan, Lake Como should perhaps be a highlight for most travellers visiting Northern Italy. Celebrities and royalties have been known to favour lakeside villas here since ancient time and it is not hard to see why with the majestic setting of the lake and the ability to explore numerous quaint little towns around the lake. First of all, its setting in North of Milan means majestic mountain peaks of the Alps forms the backdrop to the lakes, giving travellers a memorable scene to savour. However do not expect snow-capped peaks here in the summer but do expect lush green forests on the mountainside. 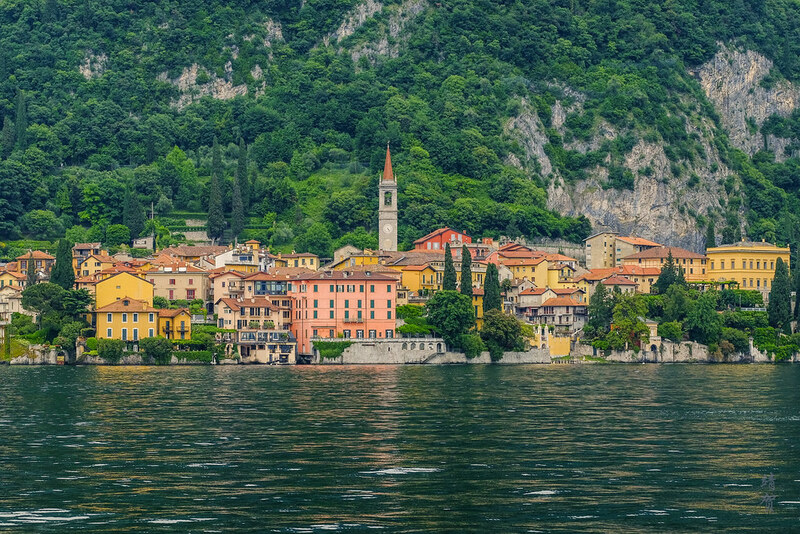 Most visitors would likely find the town of Como or Lecco as a suitable base since these 2 towns are amongst the largest around the lake, and that means more chances of finding accommodations especially during the peak season. 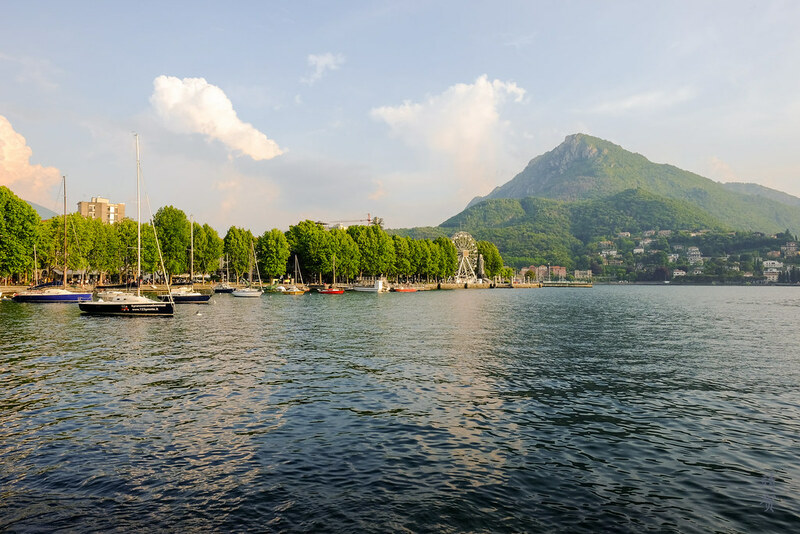 Como is located at the south-western tip of this inverted Y-shaped lake while Lecco is at the south-eastern tip and which ever towns travellers use as a base, it is fairly easy to get from either towns from Milan. 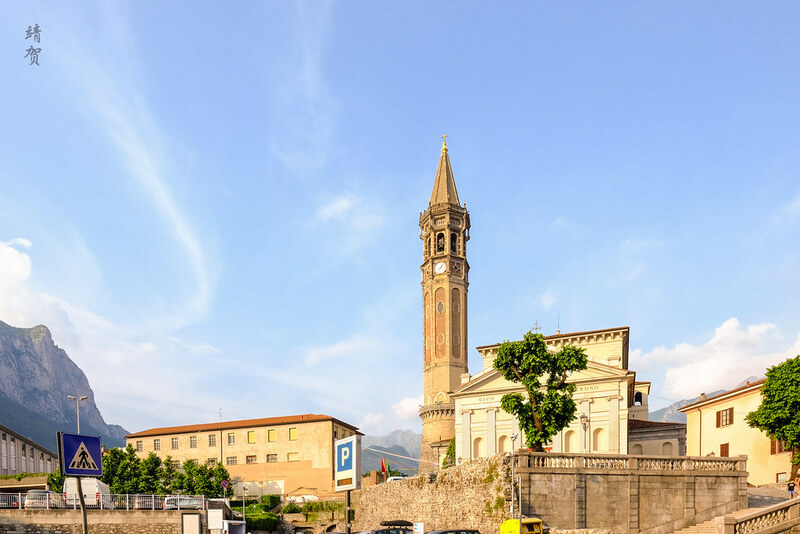 It takes just slightly more than an hour to get to either Como or Lecco by car and about 90 minutes by train with regular train services from Milan to either stations in Lecco or Como. There are even high speed rail services running between Milan to Lecco, which makes Lecco a bit more accessible as a town for those travellers without a rental car. Lake Como, being located at the south of the Alps and northern Italy has a much cooler climate than most of the country. This means that temperatures can still be cool in the summer. However this also makes it an undesirable place to visit during the winter season. Thus hotels charge higher prices for summer visits between July and August, while prices are at the lowest during the months of December to February. However many shops and restaurants are also closed during the winter season. Preferably the best time to visit would be in between the winter and peak summer months when the area is not as crowded and the weather a lot milder. Thus I expect the months of April, May, September and early October to be great times to visit. 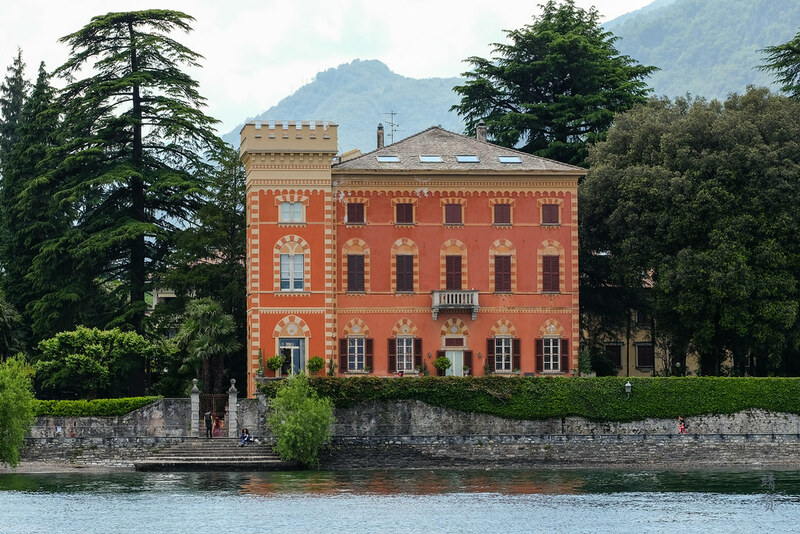 Some of the best sights around Lake Como would be to explore the historical grand villas located around the lake. Some of these villas have become grand hotels with posh restaurants that are still open to the public. 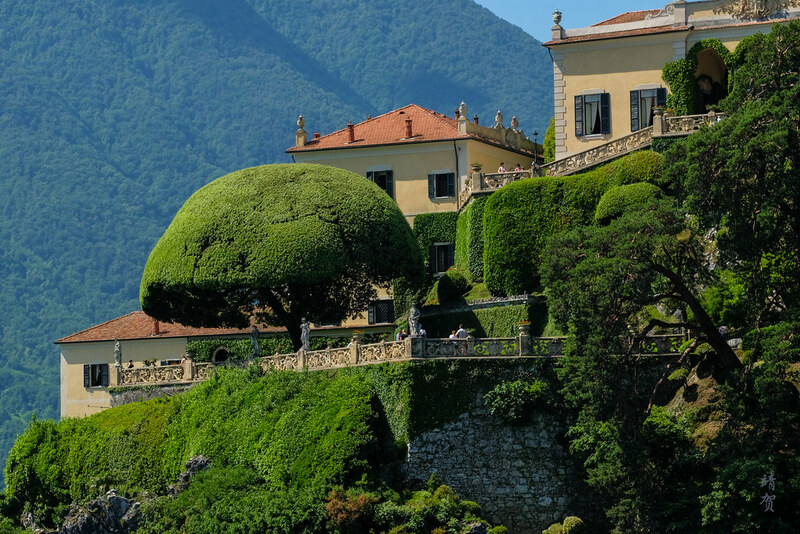 The most famous of these has got to be Villa d’Este in Cernobbio, located close to the town of Como and easily accessible for most travellers to Lake Como. The Villa d’Este is also famous for hosting the oldest Concours d’Elegance, which is a classic car show exhibiting some of prime automobiles in a refined setting. 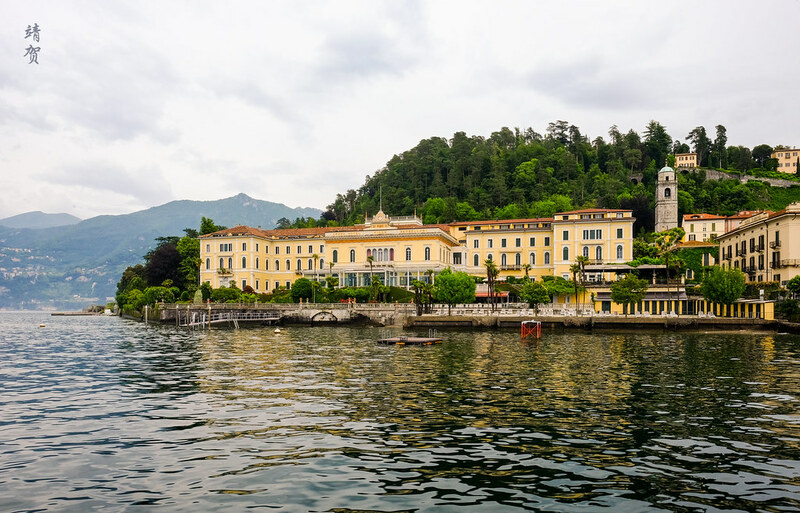 Another prime example to stay and visit is the Grand Hotel Villa Serbelloni in Bellagio, which has been named as one of the most beautiful towns in Lake Como. This large villa on the lakefront has been converted into a luxurious 5-star hotel with several restaurants and a spa. Staying at these historic villa hotels is probably the epitome of any trip visiting Lake Como. Other villas though have become museums and places of interest that attracts tens of thousands of visitors annually. 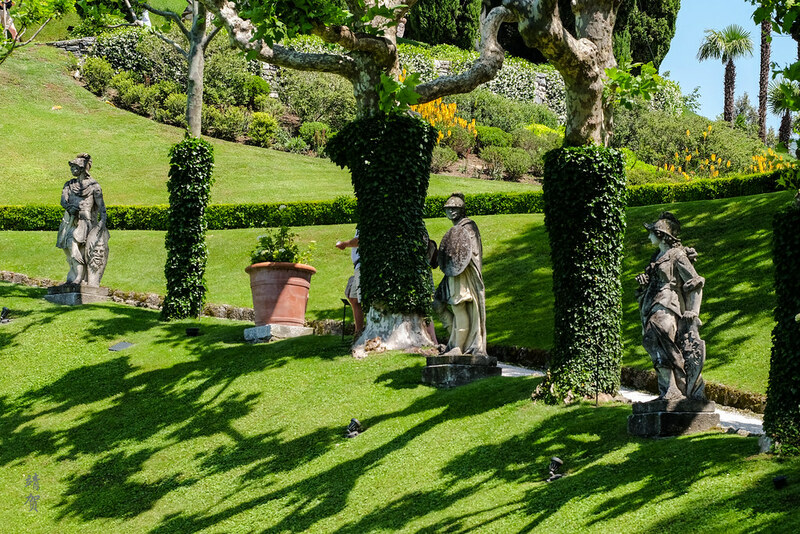 The most famous villa to visit has probably got to be Villa del Balbianello. This villa is located on a hill with its own boat dock, meaning visitors could either pay for a short boat ride to the villa or take a short 30 minute hike up which is free. Entry fees are charged to enter the villa but the go to maintaining the grounds of this villa, which is impeccable and probably the most well maintained. The location of Villa del Balbianello provides an amazing vista over the lakes for visitors to enjoy. And movie buffs would spot that the villa’s landscaping and lush gardens have plenty of unique looking trees, making it the backdrop for the scenes in Planet Naboo for the Star Wars Episode II movie. Aside from that, it is also the venue for numerous other movies and films. Another attraction in Lake Como is to visit the numerous towns using the network of ferries which are able to take in cars as well. 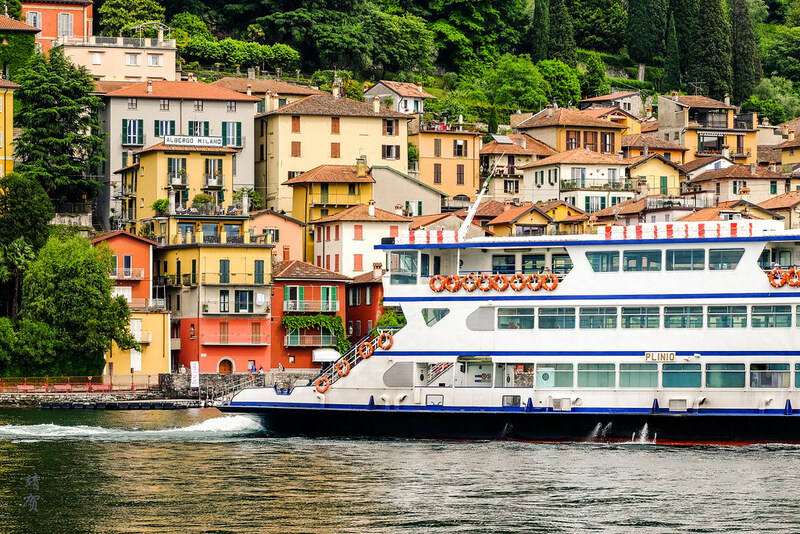 Ferries ply the routes between Menaggio, Tremezzo, Bellagio and Varenna fairly often and this makes it easy to hop from one town to another even on your own rental car. These small towns are easily covered by foot in several hours and with the availability of parking spots, drivers can use the ferries to cross the lake in an efficient manner. From the colourful houses to the magnificent mountain backdrop with the shimmering water of the lake, these small towns are photogenic so prepare to bring a camera and shoot to your hearts’ content! Enjoying the lake from the shore might be nice, but the water beckons after some time and perhaps a more adventurous way to enjoy is by renting a boat in the water. There are numerous boat rental venues around the lake and boats can be rented by the hour to even by the day. With many places of interest and towns having their own dock, it is even easier with your own boat to travel between the towns along the lake. 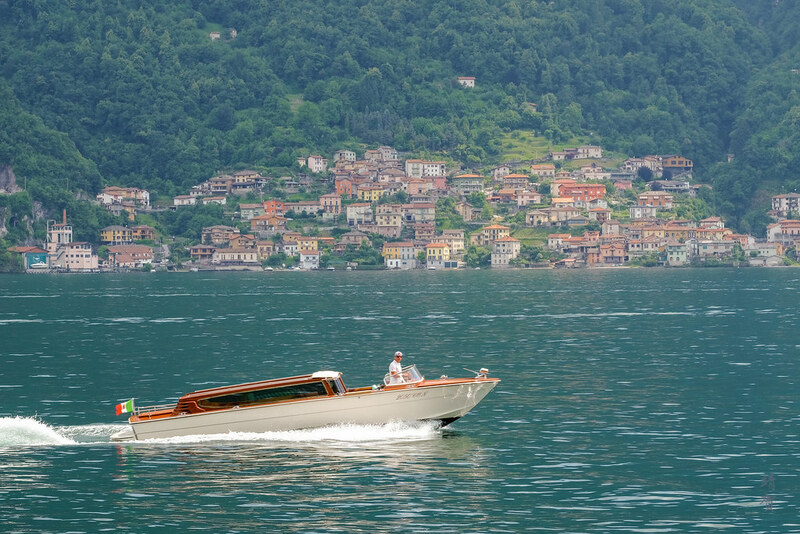 And the feeling of the breeze while enjoying the sights from the lake itself accentuates the experience of touring Lake Como. There are some things to note when visiting Lake Como; first is that the roads here are like anywhere else in Italy. That means narrow roads and potholes in some areas that sure makes it a challenge for drivers who are used to the smooth roads of Germany. In the end the attraction of this place is really the getaway feel from the hustle and bustle of city life. The serenity of small towns and the calm waters of the lake with the mountains as a backdrop does give the impression of being away from it all. 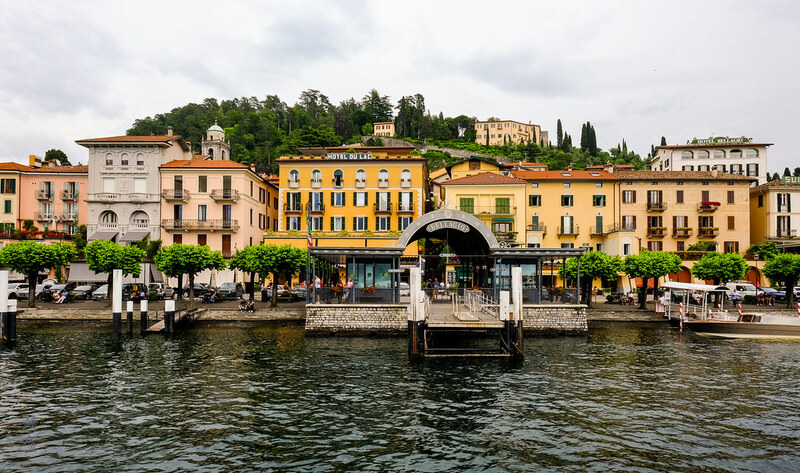 Lake Como is a place to enjoy a small town life in Italy under beautiful scenery, and it seems to be best savoured at a slow pace, but it also means that the best time to visit this place is truly when there aren’t any crowds.